Simone never saw herself as the “cute girl”—she was always the chunky, band tee wearing, France-obsessed smart girl. But now that Simone’s a few pounds lighter and sporting a new retro style, things have gotten, well, weird. Her crush Jason seems to actually know she exists. And when Simone’s soon-to-be stepmonster Hillary stops ignoring her, Simone knows something is up. When Simone’s brother offers to let her move in with him and his six roommates on the beach for the summer, Simone jumps at the chance. But living with seven very different college boys isn’t exactly helping her land her very own happily ever after. Thanks to ATWAT for the book! Wicked Jealous is a story about a girl names Simone. She’s not your average princess, but a girl who’s still searching for who she is in life. When her dad and almost step mom leave for a vacation, Simone moves in with Matt, her brother, and six other college students. Stuff happens, and then more stuff happens, and there’s a cute boy or two. And Zumba. There is lots of Zumba in this book. Simone is going through a lot of changes, and when she stumbles on to Zumba class, her whole life seems to change. The “fairy godmother” role is played by the wonderful ladies of Zumba class and her best friend. They push her to become a better version of herself and I found that aspect sweet. Seriously, this was a cute read. It was very unexpected for me because it didn’t focus as much on the whole Snow White aspect as I thought it would. This book focused a lot on Simone and the background story of who she is. I enjoyed getting to know her as a character, and her best friend was hilarious. I also really enjoyed Matt, her brother, as a character. I really wish we got to see more of the “seven dwarfs” than we did, but when they were present, they were awesome. I also would’ve enjoyed more of the whole romantic aspect of the story, but it was still super cute. 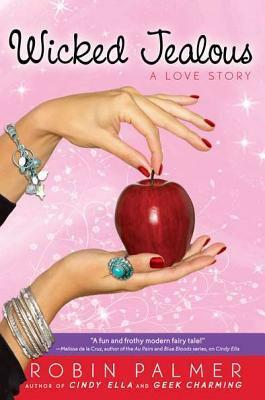 Overall, if you enjoy fairy tale retellings this book is for you. Robin has a way with these and I really enjoy the different aspects she brings out in the story. Her heroines are always a little unexpected, which is a nice touch. This book comes out July 19th, 2012! Would love to hear your thoughts! This sounds so fun, girly and Disney! How sweet! Sounds like a fun book to read in the summer time.